40% OFF RETAIL + Same Day Shipping! Every fabric has different characteristics including durability. In the upholstery industry, the term “double rubs” is often associated with the longevity of a fabric. 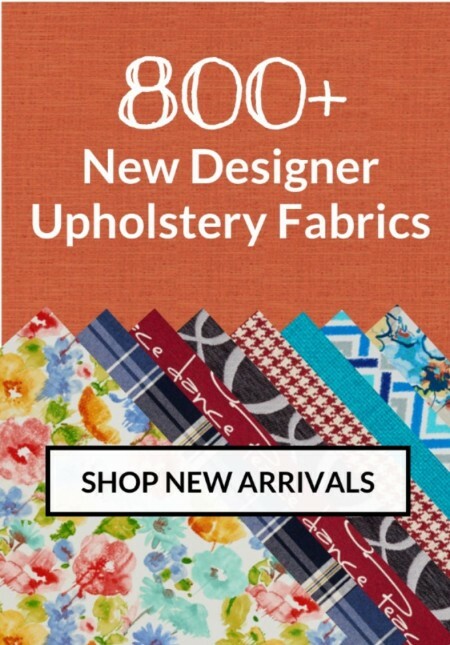 Every fabric and faux leather that we sell, meets or exceeds all standards for upholstery use. All of our products show their double rub count on their product page. Below are general guidelines that will help you be confident in your fabric or faux leather choice. Less than 15,000 double rubs: Lightly used furniture or drapery. Over 15,000 double rubs: Heavy duty, and great for any room in your house. 25,000 or more double rubs: The standard for offices, conference rooms and dining areas. Over 30,000 double rubs: Extra heavy duty, and great for all spaces, especially where heavy usage can occur. Perfect for hotels, church pews, lobbies and other high use areas. Tip: You can always add a protective anti-ageing and stain guard to untreated fabrics cheaply and easily to make the fabric more durable and stain repellent. I was very pleased with the fabric samples. They arrived very quickly. I was also more than happy with the fabric I ordered. I will definitely use this company for my next order. Ordered a sample [then] ordered fabric, had very good service and I am very satisfied, great company! Great product at the right price, fast shipping. The fabric I purchased is of good quality and prompt shipping was appreciated. I already have my eye on more fabric and will purchase more in the future. I ordered and the fabric arrived quickly and exactly what I expected. very good quality. I am very happy with the results. Send us a message, and will get back to you as soon as possible!